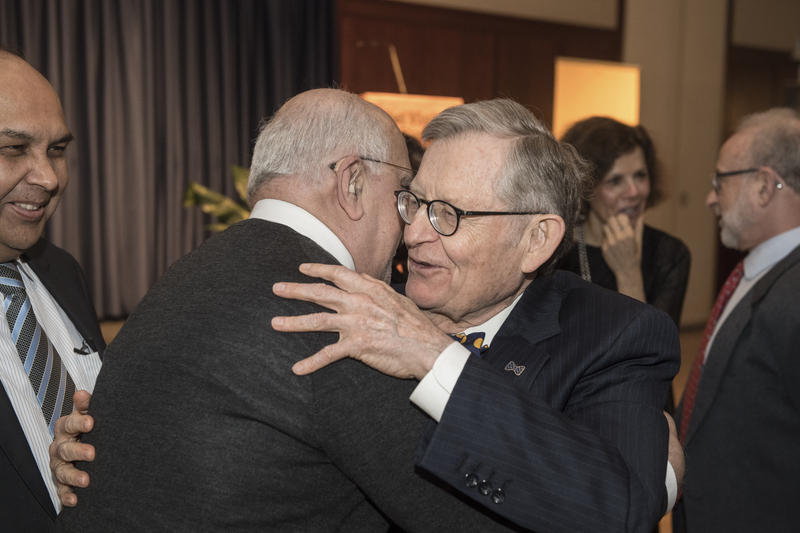 WVU President Gordon Gee gave his State of the University speech Tuesday (March 19). WVU can lead a vibrant national conversation about the value of public higher education that includes value and the need to change, he said, noting that change is difficult and often comes with disagreement, discourse and disappointment. However, he said change also comes with innovation, enthusiasm and reward. WVU must return to its origins as a “people’s university,” while honing its efforts to align academics with purpose, becoming even more student-centric, creating a continual student experience and pioneering progress, Gee said. Gee said he was proud of WVU’s accomplishments, including its Carnegie R1 research ranking, the highest possible and shared by only 130 other universities, and the work to confront the state’s opioid epidemic from every possible angle. A video highlighting the University’s research initiatives as an R1 institution preceded Gee’s address. “We must focus on our purpose so we can stand strong to make the hard, difficult changes that will change the face of higher education and the future of West Virginia University,” Gee said. Gee challenged his audience to determine how they will influence the trajectory of change. “In a state that no longer manufactures products the way it used to, West Virginia University’s faculty, staff and students have no choice but to manufacture transformation,” Gee said. “We must pioneer progress. We must stand together with a strong sense of self and a steady hand. During the speech, Gee mentioned the recent controversy over a bill in the West Virginia Legislature that would have allowed people with concealed carry permits to have guns on campus. As the only R1 institution in West Virginia, we are pioneering, discovering, launching, exploring, and elevating to help change the lives within our community, our state, and our world. 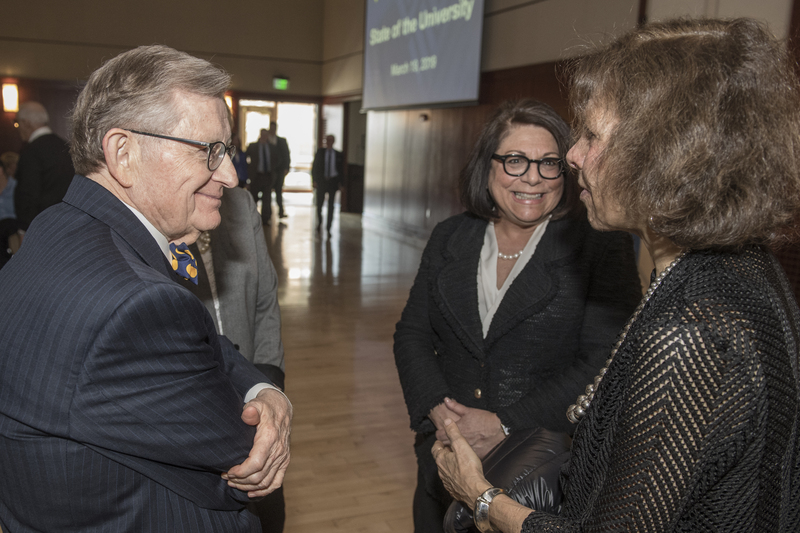 WVU President Gordon Gee speaks with Provost Joyce McConnell and Nadine Strossen, a speaker in the David C. Hardesty, Jr. Festival of Ideas series. WVU President Gordon Gee greets audience members at his State of the University address. 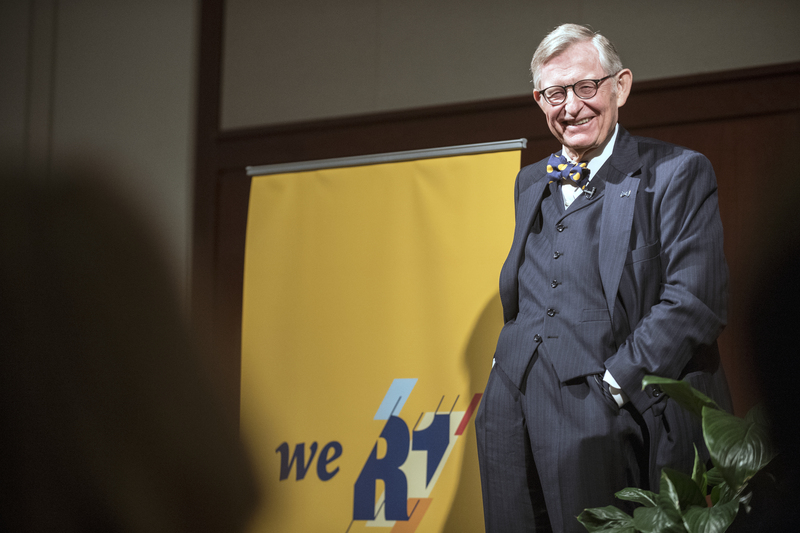 WVU President Gordon Gee took audience questions after his State of the University address. 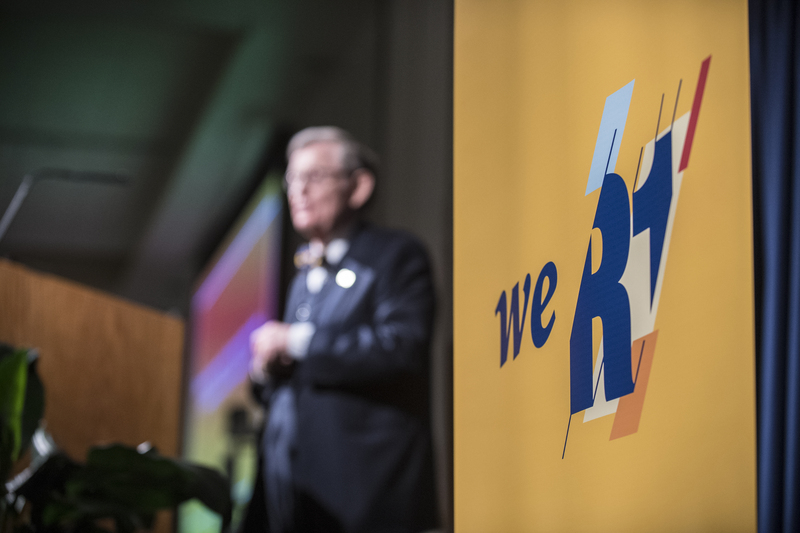 WVU President Gordon Gee highlighted the University's status as an R1 research institution in his State of the University address.